Video is one of the most essential brand-building tools for any business. As a dynamic, sensory-rich medium, video is a powerful storytelling tool to help brands and individuals convey their message. Experts predict that soon internet video traffic will account for 80% of all consumer traffic. Whoa. And it makes sense. People love watching videos. People watch videos to educate themselves. Motivate themselves. Entertain themselves. Research shows that a whopping 78% of people watch videos online every week and 55% watch videos online every day. Which means that video holds a ton of potential for brand engagement, interactions, and social shares. And for these reasons, video is one of the best investments for the future of your brand. visual marketing tools for your digital brand. As a small business, it’s time to develop a video content plan and start sharing your message. If you’re new to online video, know this: no single video is going to go viral and be the saving grace of your business. Video marketing is about sharing quality videos, on a consistent basis. Experts in content marketing recommend sharing video content every week to communicate with potential customers and share your brand message. Creating your own videos can certainly feel overwhelming. But it’s important to remember that you can start small and work your way up. We all have video recording devices in our pockets. Often, all you really need to get your message across is a smartphone and some simple video editing software. Then, once you have a firm grasp on video marketing and your strategy, you can hire a video development consultant to boost your production value. Think “how-to” content is dead? Think again! Humans still love learning how to do new things. And “how-to” style videos are still some of the most popular videos on the internet. What can you teach your audience? Your clients? Your customers? You are clearly an expert in something. Think through some ideas considering yourself as an individual, and your company as a whole. What specific technical or soft skills can your company teach others? Bonus move: repurpose your how-to video as a blog post to double up on your content. If you’re a successful business, odds are you have some business growth tricks up your sleeve. Share those tricks with others! There are thousands of budding business leaders searching for sound advice. Sharing your business tips will help new business leaders, and improve your entrepreneurial credibility within your community. If you’re looking to create paid social ads, stop motion videos work amazingly well. Especially on Facebook. And it makes sense. They’re eye-catching. They’re engaging. And for some reason, they’re really hard to scroll away from. Stop motion videos are a powerful tool to draw new customers in. While they are moderately labor intensive to create, a quick 10-15 second clip is all you need to tell your story. Try creating them with your in-house team, or hire a video developer to build one for you. Online reviews are essential for brand credibility and sales. If you can get an actual customer on camera praising your company/product/service, that’s even better! Customer testimonial videos are the most simple, straightforward way to show credibility and gain new customers. Plus, testimonial video content is extremely versatile. You can use these videos on your website, for social media, for email blasts, and for paid advertising. Identify a top customer and see if you can grab 20-minutes of their time to discuss their experience on camera. You can always offer a discounted product or gift card if needed. List videos are also alive and well! Why? Psychologically, humans are addicted to lists. What type of Top 10 video can you create about your industry? Within the eLearning industry, some example ideas might be: Top 10 Tips For Creating Learning Content, Top 10 Ways To Improve Your Learning Videos, Top 10 LMS Platforms You Should Use. Have a brainstorm session with your team and see how many ideas you can come up with for your industry. Then circle your favorites and turn them into videos (and blog posts!). Need a highly-shareable video? Try creating a parody of a popular music video, movie, or TV show. Parodies perform extremely well on social media as they are relatable and typically carry a touch of humor. Pick a popular song or movie that is relevant to the current time. Then figure out how you can put your own twist on it, with your company and industry in mind. If executed well, your customers will love that you took the time to entertain and educate them. Just make sure your videos comply with the Fair-Use laws. Know an industry leader? See if they are interested in offering some unique insight into your industry. Not only do these videos help your brand, they also give credibility and boost the brand image of the industry leader. Or maybe you want to meet an industry leader. Asking for a video interview is a surprisingly effective networking strategy. Reach out and ask to interview them. You’d be surprised how far a little flattery can go. Before you reach out, make sure you have a succinct plan. Think through your goal for your video and the type of questions you’d ask in your interview. We’ve seen screen-capture videos become very popular for software and tech companies. Simple to execute, a screen-capture video is a useful way to explain your product, show highlights of your software, or teach customers how to use it. If you’re using this video as a customer-facing sales tool, try keeping it under 3-minutes in length. Videos that are too lengthy often turn people off, and can make your product seem complicated to use. Most companies get asked the same questions over and over. To address this, maybe you have an FAQ page on your website. Why not turn it into a video? This allows customers to not only learn more about your company, have their questions answers, and see the face behind the company. It’s a powerful video type that can show your knowledge and also show your personality. Video portfolios work well for freelancers, independent consultants, or B2B companies. Keep it under 60-seconds in length and make sure to highlight your most impressive work. This type of content is also a powerful credibility piece to be on the homepage of your business. Or as a sales tool when you reach out to new potential customers on Upwork or LinkedIn. Bonus move: Try splicing up your video portfolio into shorter clips to share on social media. Instead of sharing the entire video at once, you now have 8-10 short clips to share on a daily or weekly basis. Maybe you love Apple products. Or your company loves using Slack. Do a product review video and explain exactly how your company uses these products. And why you love using them. Review videos can help other small businesses learn about new types of products, software, and tools. These videos help boost your brand credibility and expertise. Plus, they provide added transparency which is always positive in modern marketing. If you’re a CEO or executive, people probably want to see what your day is like. Maybe you don’t find your day that interesting. But there are thousands of potential business leaders that want to understand what it takes to be at your level. What is your morning routine? What challenges do you face? What decisions do you make? How do you stay productive? A daily vlog video is a perfect tool for adding a human touch to your business and showing a peek behind the scenes of your company. If you look at the YouTube trending videos, often over 40% of the top videos are music videos. Although it may be outside your company’s comfort zone, music videos are highly shareable and are perfect for adding humor to your business. Plus, creating a music video will often boost employee morale. And if done well, will have a high-shareability factor on social media. A fun way to show your brand’s personality and share your message on social. People love to see how things are made. If you’re a consumer product company, can you film a video of your design process? Your manufacturing process? Insight into the materials you use? This is an easy way to add transparency to your brand and build customer trust in your products. With your experience as a business leader, you have some valuable life skills to share. Maybe you’ve learned a lot about empathy. About critical thinking. Problem-solving. Consider creating a video of yourself discussing these life skills and how they can be applied to a variety of situations. Not only will this help encourage and inspire other entrepreneurs, it also show vulnerability and humility to your own brand. Have you hit a sales goal? A philanthropic goal? Create a simple video that shares these important milestones with your audience. A milestone video is powerful on social media sites such as LinkedIn, as this helps boost your credibility. Potential customers may see this as a symbol of trust and success that could improve your chances of new future partnerships and customers. Often the most impactful way to showcase your work is by sharing a previous project; or case-study. This helps new clients understand your process and see if you have what it takes to help them solve their problems. 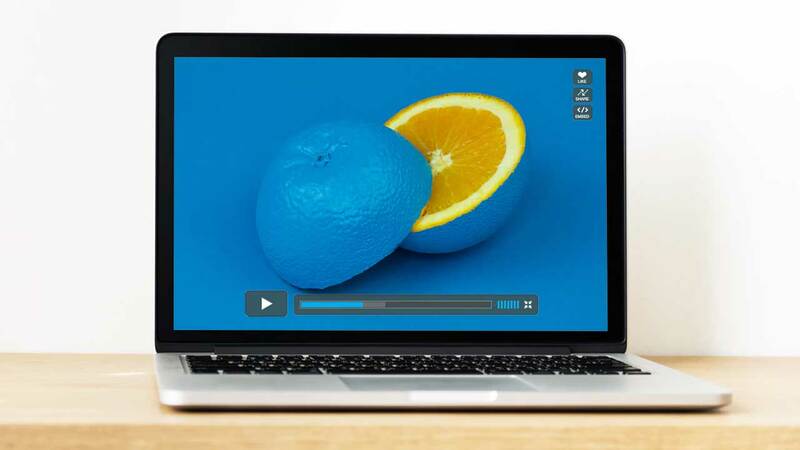 These types of videos act as powerful credibility assets for your website. And if you build up a variety of case studies, can be used to pitch work to new clients. Make sure you get your client’s approval before creating the video as some material can be especially sensitive. If your company already has a blog, it’s easy to turn that content into video. Many blog posts are already written in “script” format. With a few tweaks to the copy, you can turn any blog post into a compelling video. This is an easy way to re-use the content you already have. Plus, it saves you time and money since you already have 50% of the work completed. Ofter referred to as “explainer” videos, this style of video has exploded with popularity in recent years. Whether you create an animated video, whiteboard video, or a live-shot video, a product explainer video is essential for any online brand. Typically these videos are only 1-2 minutes and cut straight to the core of your product offering. What is your product? How is it used? What are the benefits? With extreme versatility, explainer videos can be featured on your website homepage, landing pages, social media, and email marketing. Plus, you can usually splice your explainer video down to create compelling paid social media ads for Facebook, Instagram, and YouTube. Consider selecting a few employees to tell their story. What is their story? Why do they enjoy your company? What do they do for fun? Employee feature videos offer a unique insight behind-the-scenes of your organization. It provides a deeper human element to your brand. Plus, it’s a useful tool for recruiting. Your HR department can use these videos on their recruiting webpage, or share the link to employee videos within job postings. This is your chance to show your knowledge and expertise. Share industry trends. Express your opinion about a new software program in your industry. Recommend a new tool for your clients to explore. By rounding up a few tips and recent news, you will keep yourself ahead of the curve and be seen as a thought-leader within your industry. This works really well if your company is visually based: web development, web design, graphic design, home staging, contracting, makeup stylist, fitness coach. By showing and explaining a simple before-and-after video, you’ll help potential customers envision a positive future if they select your services. And these assets are an extremely effective selling tool and top-class credibility piece to host on your website. Everyone wants to get things done quicker. What “hacks” can you share? Maybe you have some productivity hacks to work more efficiently. Or maybe you can provide Adobe Illustrator hacks that speed up the design process. Whatever your expertise, compile a list of “hacks” and put them into video format. Bonus if you can compile more a list of ten hacks into one video. All companies have emotional stories to tell. With all of the ups and downs of business, telling your story helps build customer trust and adds an important touch of humility to your brand. Instead of waiting 20 years to write your book, tell your company story today through video. Share the raw, grueling details of your company’s beginnings. What was your financial situation? What decisions did you make in the early days that led you to where you are today? Be thoughtful. Be creative. Be humble in your storytelling. If done well, customers and potential business partners will love hearing where you started.